Caption slip reads: "Photographer: Snow. Date: 1957-07-24. Reporter: Adler. Assignment: Chief ambulance attendant retires. 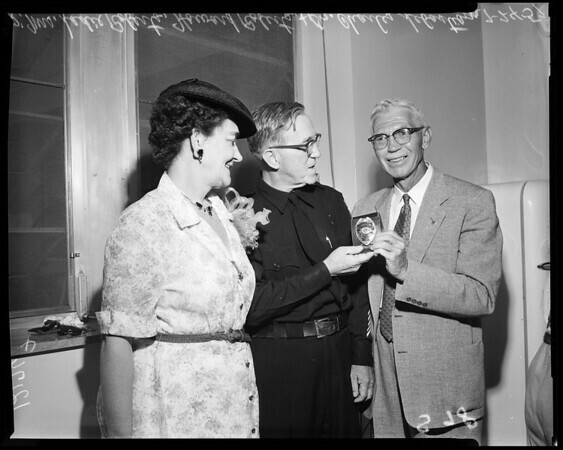 Dr. Charles F. Sebastian, superintendent of LA Receiving Hospital, on right, presents Howard G. Roberts, 61, retiring chief ambulance attendant, with retirement badge, as Mrs. Sadie Roberts looks on."